Daiso is the equivalent of a dollar store or two euro shop. It is actually a Japanese chain store with several locations throughout Korea. 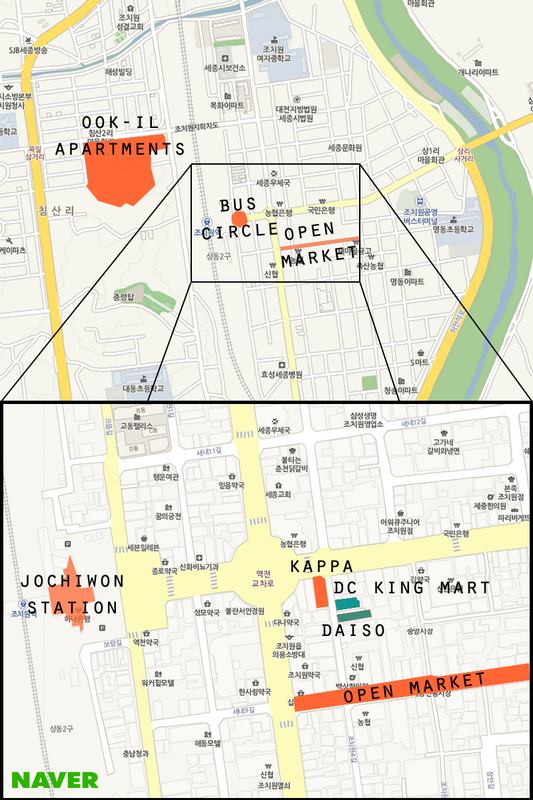 In Jochiwon, it is a two-story building in walking distance of Ook-il apartments and situated close to the Jochiwon Traditional Market. 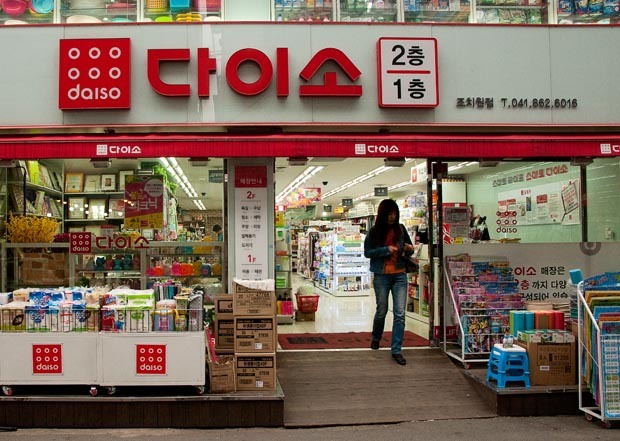 Most items in Daiso are under 5,000 won, but occasionally you will find more expensive items . On the first floor, you can find stationery items like notebooks, pens, pencils, crayons, origami paper and a milieu of magnets, stamps and pushpins. Some teachers buy items here as incentive gifts for their students. Additionally, there are cosmetics, aromatherapy, gardening, snacks and gift-wrapping sections. The second floor houses oral hygiene, cushions, slippers and homeware items. The household section includes pots and pans, dishes, storage boxes and baking utensils as well as mops and de-humidifier boxes. Address: 연기군 조치원읍 원리 6-11, Yeongi-gun, Jochiwon-eup, Wonri 6-11. 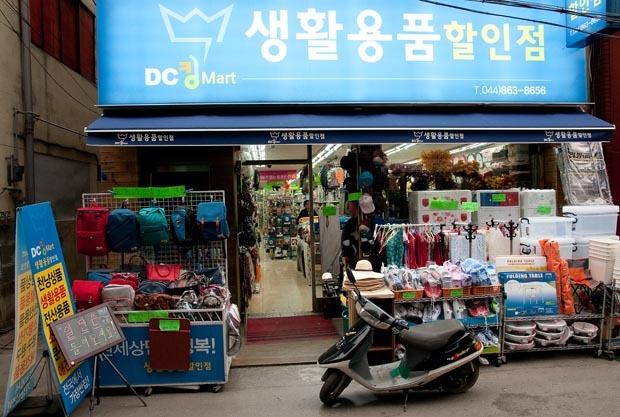 Located right next to Daiso is DC King Mart. This shop is a cross between Daiso and Homeplus with prices ranging in between the two. However, it is competitively priced against Homeplus. Although only one floor, there is a much wider range of pots, pans, plates, cups etc. than in Daiso. You can also find things like shower heads and folding chairs that you won’t find in Daiso. Directions: From Jochiwon Station- walk past the first roundabout and keep going straight one block. Turn right at Kappa, a sports clothing shop. Daiso and DC King Mart are both on the left side of the street. From Sejong- take any bus (for example 601, 620, 500) heading toward Jochiwon Station. Get off the bus one stop before Jochiwon Station, called the 시장/shijang. From that stop, walk straight until you get to the traditional market; turn right into the market and then take the first left. Daiso and DC King Mart are on the right side of the street.